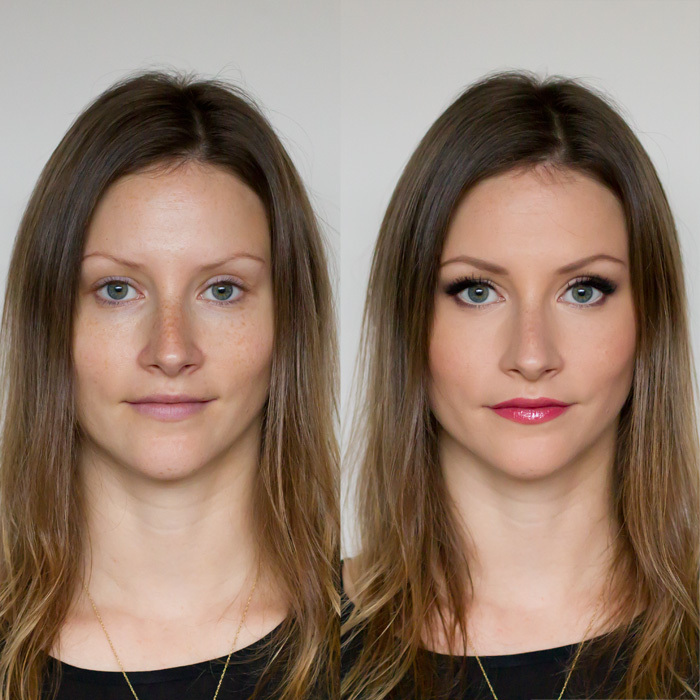 Seriously, isn't makeup amazing? All you need to do is look at a before and after to see the transformation. These photos weren't Photoshopped at all so that you can see a true before and after. After hearing your feedback from the last couple of videos, I wanted to do another full makeup that you can recreate for yourself. This is a look that I would wear out on a date with Ollie -- focusing mainly on creating striking eyes (they are the windows to the soul after-all). I really hope you like it and please let me know if there are any other tutorials you would like to see! I hope you have an amazing weekend!